In April 2009 Sberbank signed the agreement on cooperation with the “Sochi 2014” Organizing Committee, and became the General partner of XXII Olympic Games in Sochi. Since then the bank has been participating in the Games organizing process – that is the work on the development of branch activity, stuff training, and creation of new financial products and services. As “Sochi 2014” partner, Sberbank supports the building of sport substructure of the upcoming Olympiad. The bank give financial backing to the building of the sport objects – the complex of ski jumps and media village. The village will be the base of the future “Gorki Gorod”, infrastructural complex for transportation, utilities, resorts, and sports which is planned to be ready in 4 years and which has no analogues in Russia by now. Sberbank understands the importance of the progress of the future Olympic center that is why even now it supports all the projects, which are believed to develop the sport resort. In March 2011 on the territory of the “Gornaya Karusel” (future infrastructural complex “Gorki Gorod”), the grandiose musical festival “Red Rocks” took place. (Link) On the top of the mountain, 1500 meters above the sea level Russian and foreign music stars gave excellent concerts. Sberbank was the Official General Partner of the event. Moreover, the interest to the project “Red rocks” was so great, that it began to develop further. In 2012 “Red Rocks” was granted a chance to participate in the Cultural Olympiad “Sochi-2012”. Also, the festival gave birth to two global musical projects: “Red Rocks Tour” (40 Russian cities Tour) and “Red Rocks Music of the Future”, during which the hymn of the Sochi-2012 Games sports fans will be created. The bank also organizes and supports many projects, which turn to be healthy life style propaganda and which develop the conception of mass sport. 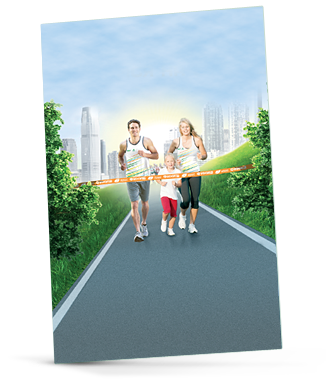 The best example of such projects is “Green Marathon”, the biggest sport event, organized by Sberbank.